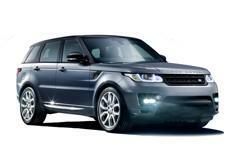 LANDROVER Range Rover - Car Reliability Search | Reliability Index | How reliable is your car? Reliability Index 287.00 What does this mean? Average Age 5.18 yrs What does this mean? Average Mileage 56,249 miles What does this mean? Time Off The Road (avg) 2.72 hrs What does this mean? Average Repair Costs £523.42 What does this mean? Air Conditioning 2.65% What does this mean? Axle & Suspension 30.71% What does this mean? Braking System 5.31% What does this mean? Cooling & heating system 4.08% What does this mean? Electrical 25.82% What does this mean? Engine 10.71% What does this mean? Fuel System 7.76% What does this mean? Gearbox 4.39% What does this mean? Steering System 5.20% What does this mean? Transmission 3.37% What does this mean?